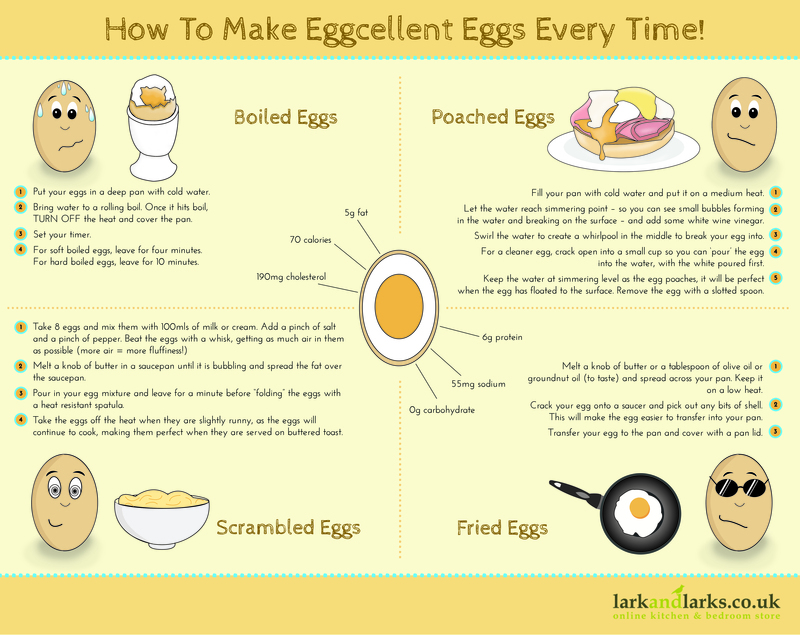 Infographic: How to Make “EGGceptional” Eggs… Every Time! Eggs are one of the most versatile foods you’ll find in your kitchen, but do you know how to *really* crack them? Our guide on how to make the perfect eggs looks at the four classic ways of making eggs and finds the best method to cook them. How many minutes does it take to boil an egg? How long do you poach an egg for for that perfect runniness? What makes for the ideal fried egg? We are here to answer all of those questions with our fun infographic!